As the suitable product mix at its Angul facility continues ramp-up, Naveen Jindal-led Jindal Steel & Power (JSPL) could be looking to capture the growing demand from the domestic infrastructure segment in the coming years. 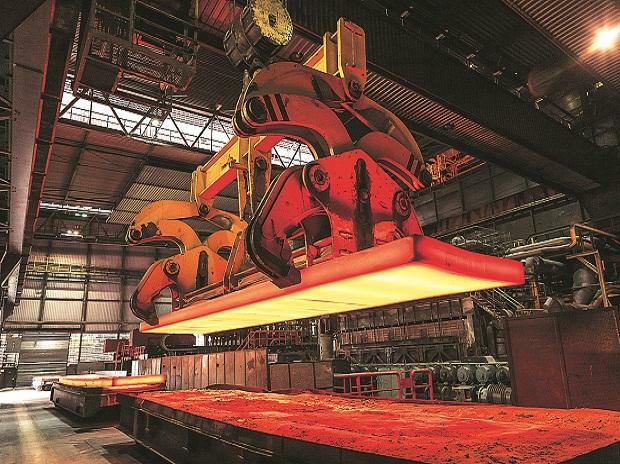 According a recent Icra report, India’s domestic steel consumption growth is expected to grow by 7 per cent in the current fiscal with the trend likely to continue in FY20, largely driven by government focus on infrastructure sector. “For Jindal Steel, the upside potential is the highest, not just because we are upping production but also because of our product mix. This mix is very much suitable for a nation that is on the verge of building its infrastructure,” joint managing director Naushad Akhter Ansari told Business Standard. Long steel products find wide application in the infrastructure sector. Rail, plates and rounds are the three products company aims to focus on. Railways, defence, petroleum and water pipes are the segments where these product would find demand. With large integrated producers such as Tata Steel and JSW Steel focusing on high margin flat products (used in auto sector), Jindal Steel stands a strong chance to capture the upcoming demand from the infrastructure segment. Flat steel products are used mainly in the auto sector. Along with Jindal Steel, state-owned Steel Authority of India (SAIL) is another large player in the long product business. “We should finish ramping up 75-80 per cent of the six-million-tonne facility this year and balance next year,” informed Ansari. Meanwhile, analysts warn about shrinking spreads impacting domestic steel sector’s profitability. In the last three months, the spread has shrunk 40-45 per cent. “Steel prices have come down in the last few months but its raw material prices haven’t dropped in the same proportion. This is one area steel companies need to continuously watch going ahead, especially companies with high debt,” informed Giriraj Daga, portfolio manager at Visaria Securities. Jindal Steel’s recent capex at Angul in Odisha has led to burdening of the balance sheet with debt at around Rs 42,000 crore as on March 31, 2018. This is one of the reasons the company has refrained from participating in bidding for any of the assets that were on offer under the insolvency process. “The company would need an EBITDA of about Rs 4,600 crore annually to service the interest on debt alone. The important bit is to keep the EBITDA sustainable,” said Daga. Jindal Steel’s total steel capacity is 10.6 million tonne which includes 2.4 million tonne of Oman capacity. The company also has a power business of combined capacity of 5,034 Mw power generation.